FULL METAL SERVICE » FMS starting with UNDERWALL festival 2013! The Underwall Festival was created as a product of Full Metal Service and united Croatian metal bands which decided to gather their force and show the world that great metal is played here and that we have a terrific metal audience, ready to give their full attention to each band and treat them as an already established band. Underwall is a festival run by FMS and Croatian bands. We know the situation elsewhere and feel sympathy for the smaller bands on the metal scene, so we decided to be the first festival to give them a shot, the best possible conditions and pay for their appearance, because we know the effort, the blood, the sweat, and the hardships that are invested in each band’s work. 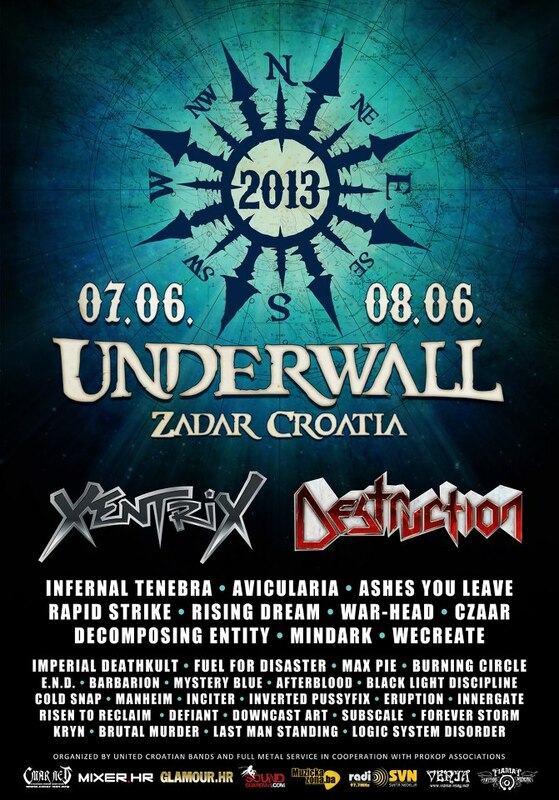 We will support you all the way and see you at Underwall 2013 in Zadar! ← GUARDIANS OF TIME and D.HATE will support Sabaton in Belgrade!